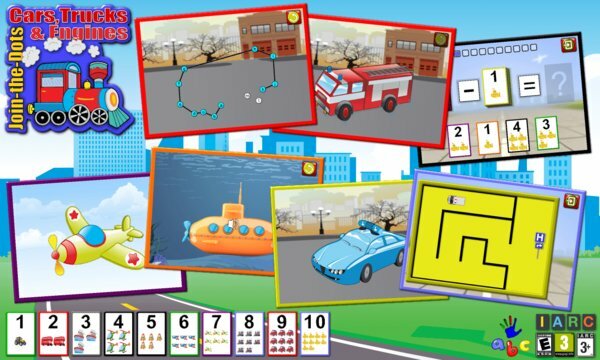 Toddlers and preschool children will learn counting and the alphabet while finding out about about vehicles and transportation by completing easy connect the dots style puzzles of cars, trucks, boats, trains, planes, emergency vehicles and many more. Kids will learn about what things look like and hear the sounds they make. Now with new maze games to teach logic and maths flashcards to teach addition and subtraction of numbers up to twenty from the award winning developer of Children`s Fun and Educational Software. This App helps young children learn all about vehicles and transportation while developing their hand eye coordination shape recognition and puzzle solving skills. It`s a unique early learning game with realistic sounds and high resolution quality cartoon style pictures which toddlers, preschoolers, and kindergarten age children will enjoy. • covers many common vehicles. For example car, truck, bus, van, train, fire engine, ambulance, police car, boat, space ship and many others. • supports the following languages: English, German, French, Chinese, Japanese, Korean, Portuguese, Spanish, Arabic, Russian, Italian, Persian, Turkish, Polish, Indonesian, Vietnamese, Romanian, Swedish, Thai, Norwegian, Malay, Greek, Finnish, Dutch and Danish. (Item name pronunciation is only available in English). 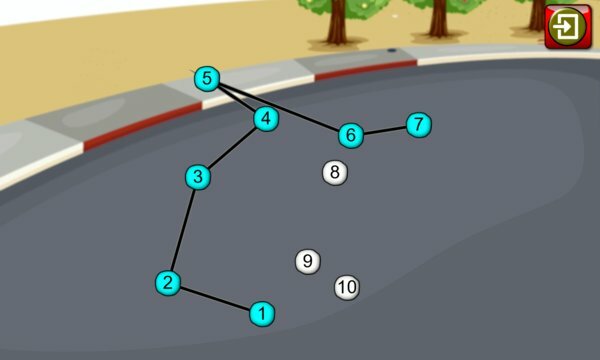 Car, Truck and Engine Connect the Dot Puzzle comes with a selection of free games that can be easily upgraded through a single low cost in-app purchase to enable all puzzles. By upgrading from the Free App to the full version you’ll also be entitled to all additional puzzles and features added in future releases. Puzzle games have traditionally been a fun and early education learning tool for tots, toddlers, preschoolers, kindergarten, and early school age children and are a stimulating game for girls and an exciting game for boys. Please check out our other puzzle games and acclaimed kids educational apps at http://espacepublishing.com or follow us on Facebook for the scoop on new app releases and free giveaways at http://facebook.com/espacepublishing.